severe pain and red eye. Eventually, she was unable to even keep her eyes open, especially in sunlight, and was confined to her home. She visited the LVPEI vision centre in her village and consulted S Kalyani, the vision technician there. 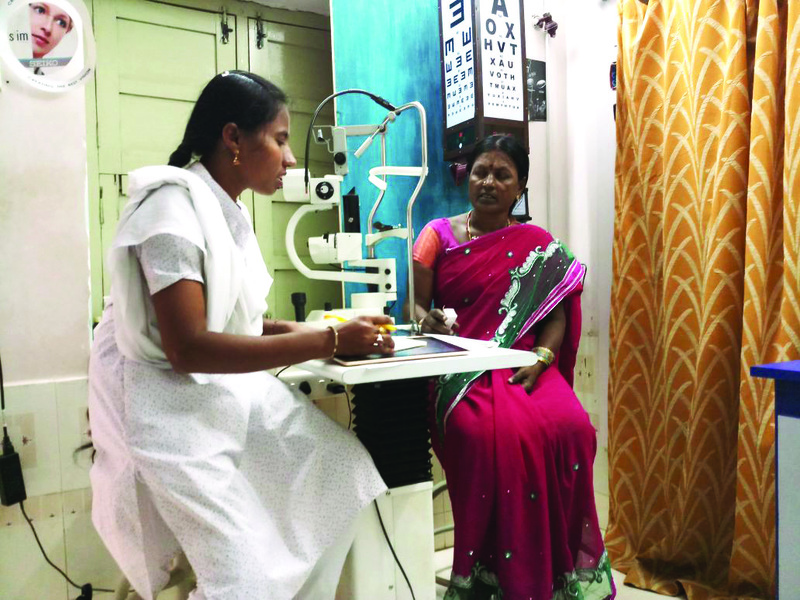 Suspecting infection, Kalyani immediately clicked the pictures of the patient's eye and shared it with the expert doctors at Hyderabad campus through the teleophthalmology facility available at all the vision centres. Thanks to this technology enabled expert guidance, the technician was able to guide Parwathi for further care and treatment at the nearest tertiary centre at Visakhapatnam. 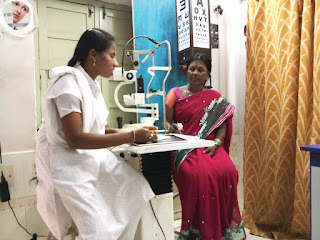 A detailed eye examination was carried out by Dr Merle Fernandes and drops were prescribed. After a couple of follow up sessions, the infection subsided. Happy to be finally relieved of the severe pain and red eye, Parwathi is now looking forward to resuming her work, and is extremely thankful to the LVPEI team for the timely treatment received. Seven years ago, Ranjeet became a victim of 'chuna' (slaked lime) burn injury and lost vision in his left eye. His eye had turned ugly with a protruding mass (as in the picture in his hands). The local doctors had given up saying that his vision would never be restored. Disheartened, he came to LVPEI for the removal of his disfigured eye. But a miracle awaited him at LVPEI. A team of doctors led by Dr Sayan Basu performed a novel technique of stem cell transplantation surgery developed in LVPEI by Dr Virender Singh Sangwan, called SLET or Simple Limbal Epithelial Transplantation. Today, Ranjeet has not only regained vision but also his self-confidence and smile. Like Ranjeet, there are many other patients, across all age groups and from all over India, who have benefitted from this life-changing surgery.